The web-slinging hero is joining the Nendoroid universe! The world-famous Spider-Man is joining the Nendoroids as a fully posable figure wearing his newly designed outfit from ‘The Amazing Spider-Man’! His entire outfit has both the spiderweb texture and appearance that fans have come to love. He is priced at 3800 Yen and scheduled for November release. 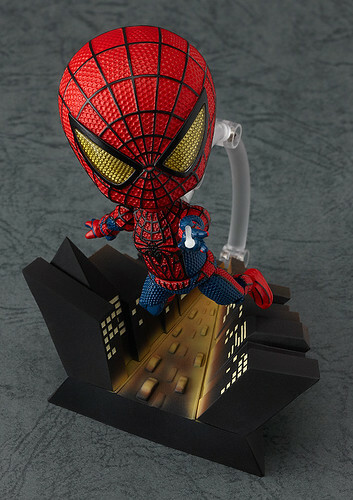 Are you interested to grab one of this super-deformed version of Spidey, Nendonesian?